sending options sending options (required)Send the card direct to the recipient with a message. (Please add the delivery address at the checkout). (+ £1)Send the blank card to me please. sending options (required)Send the card direct to the recipient with a message. (Please add the delivery address at the checkout). (+ $1.82)Send the blank card to me please. sending options (required)Send the card direct to the recipient with a message. (Please add the delivery address at the checkout). (+ €1.18)Send the blank card to me please. sending options (required)Send the card direct to the recipient with a message. (Please add the delivery address at the checkout). (+ $1.45)Send the blank card to me please. 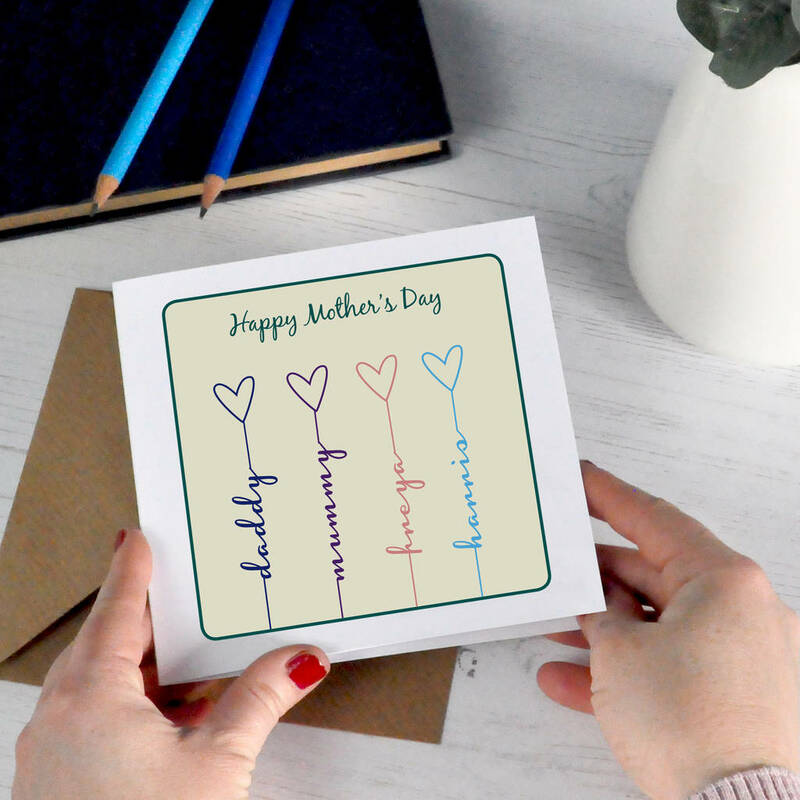 An original personalised contemporary family heart card, perfect for Mum or Dad Personalise with your own message at the top. A stylish and modern card detailing the family members. 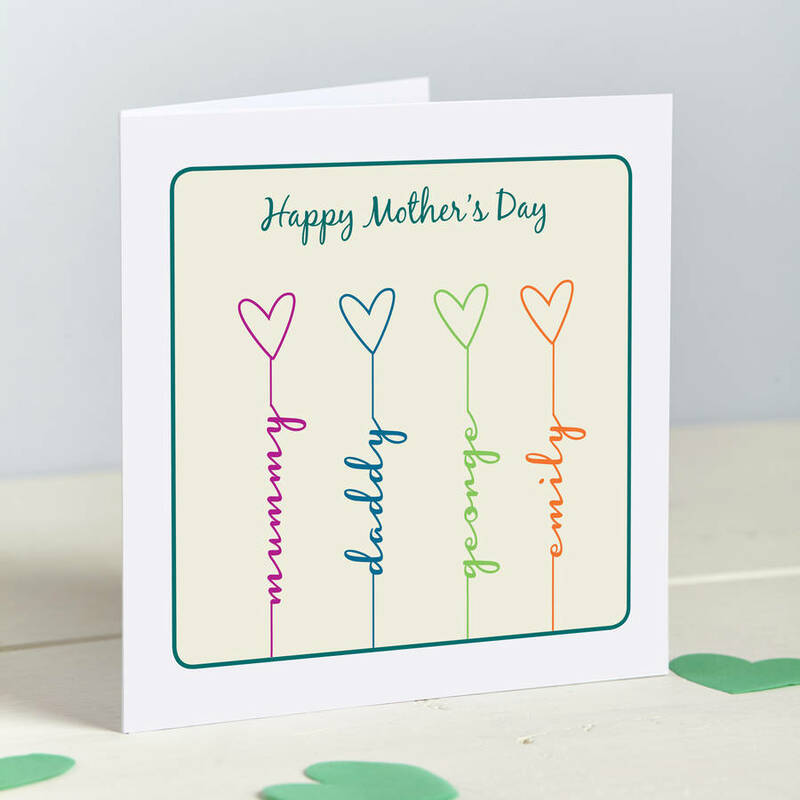 Can include Mum, Dad, Siblings and even the pets! 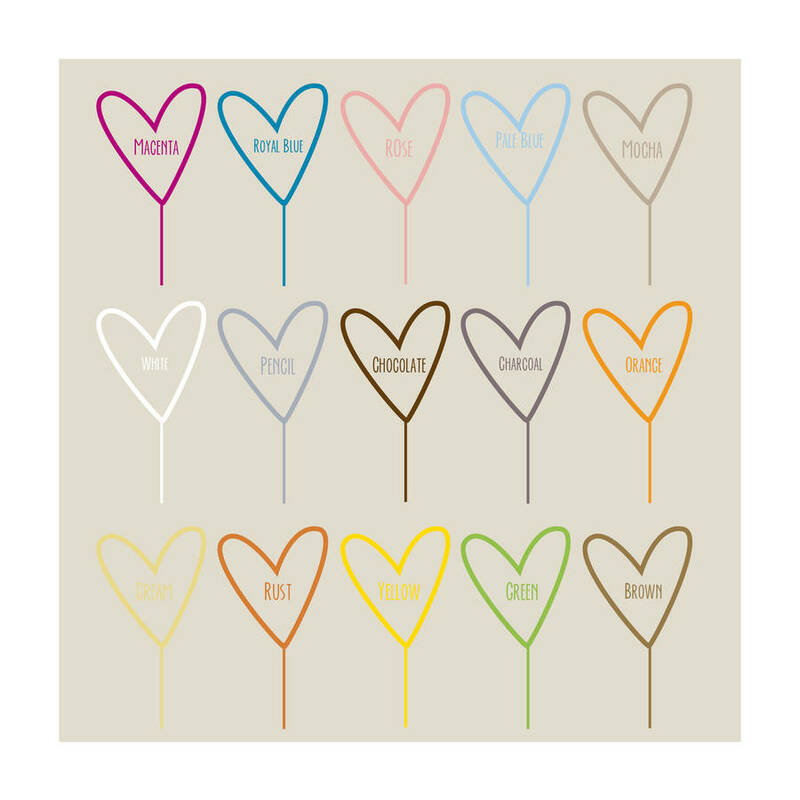 The hearts come in a range of complementary colour shades against a neutral taupe coloured background, this makes an original and striking personalised card that can even be dispalayed framed after the event. Please add each family member's name and the chosen heart colour in the boxes provided. Please enter the colour name as shown on the swatch image for example: Magenta, Royal Blue, Rose, Rust. You can include up to 6 members. Members will be added from left to right so your first listed choice will be on the left. 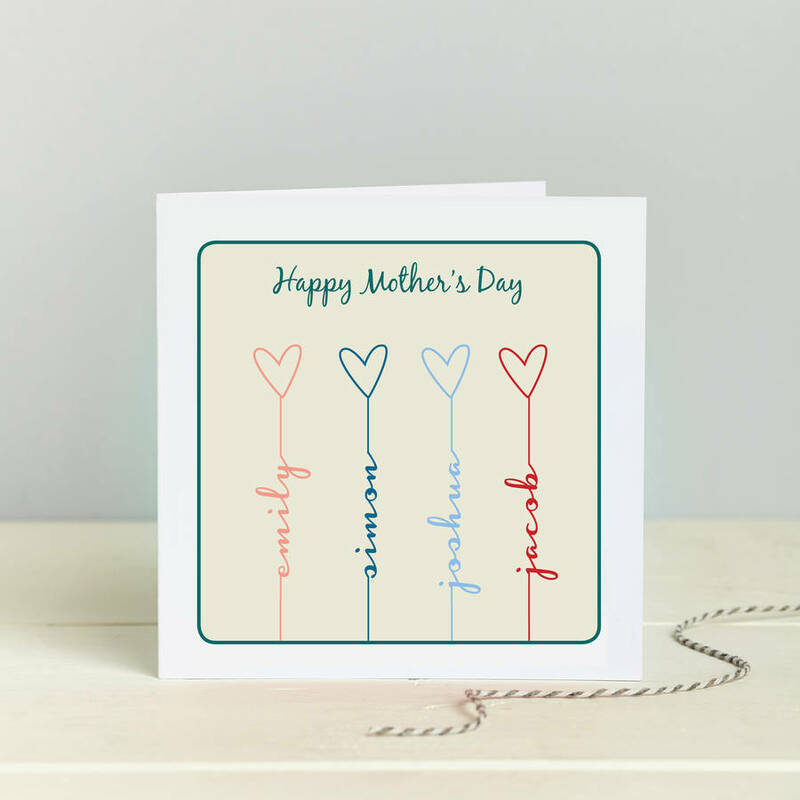 As each design is made to order and designed from scratch please note that the layout and size may vary slightly for each card produced. We use high calibre dye based photographic inks, premium quality white print papers and white envelopes. Please note that the standard delivery dates given are only estimates and whilst we always try to ensure they reach you by this date they are not guaranteed. Card Size 14 cm x 14 cm plus envelope.